One of the loveliest things about going on an English holiday (apart from not weighing suitcases), is taking the dogs with us. We’re off to North Yorkshire to stay in a cabin in the woods, where we will play Scrabble, walk until our shins are numb, and Embrace Nature. ‘Will there be bears?’ asks Ellie. We assure her that there will not. ‘Pity,’ she says. It’s Monday morning, and we’re doing the usual stressy nightmare we do whenever we go away. Have-you-packed-the-torches-well-why-are-they-on-the-stairs-then, and I-thought-YOU-were-putting-diesel-in-the-car. This time though, it’s worse than ever, as we were out for Sunday lunch yesterday, and I haven’t packed anything. Not one thing. Worse still: three pairs of jeans (two of mine, one of Elle’s) are still in the tumble dryer. I don’t actually remember them until we’re roaring up the M40. ‘Fine,’ I snap. ‘I’ll buy leggings.’ He hates leggings. I shake out Sunday’s Telegraph and retreat behind it, muttering. I sulk until the M1, but then I glimpse the pale face of Hardwick Hall up on its hill, and put down the paper. I say for the millionth time how lovely it would be to visit. Stevie rolls his eyes, but the atmosphere in the car has lightened; the holiday-feeling working its magic. Yorkshire Moors! Sea-side! Hot tub! As we pass Nottingham, the sun comes out. Blue scraps of sky are visible between the sullen March clouds. The blackthorn is starting to flower along the motorway – incongruous frills of white behind grey crash-barriers and bright orange rescue-phones. Here and there are clumps of just-flowering daffodils, and Stevie and I speculate how they came to be there. The miles roll on, the children entranced by a DVD, the dogs silent in the boot like stowaways. We join the A1 and marvel at the smoking giant chimneys of Ferrybridge. Jess hums politely and replaces her earphones. Stephen and I exchange glances. Too grown up now, for cranes. We go past York Racecourse, its huge glass stands glinting in the afternoon light, then we’re in the gentle sweeps of the Howardian Hills. 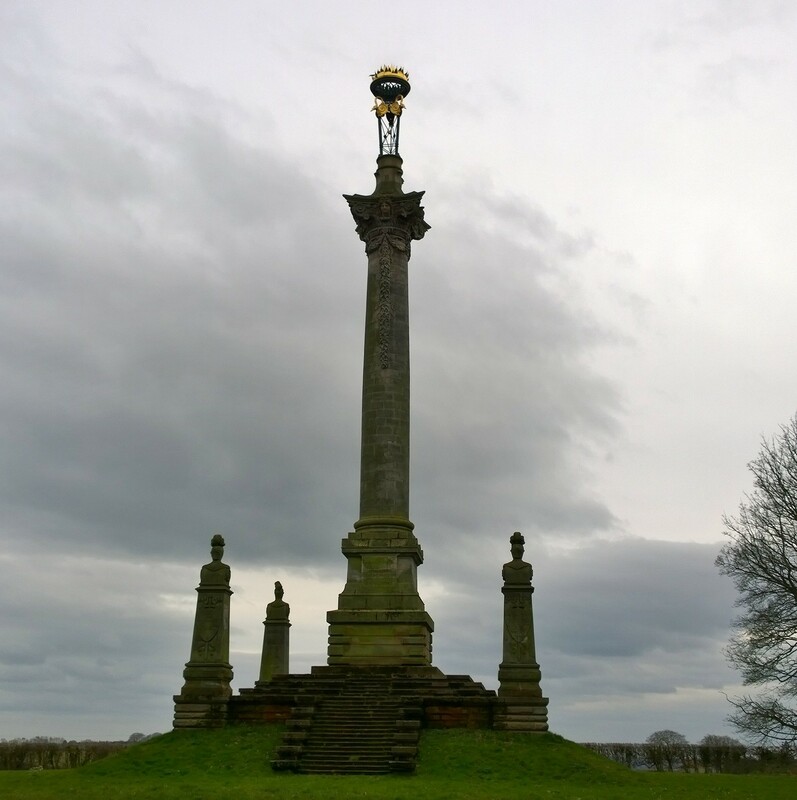 A sign comes up for Castle Howard, and I look at Stevie hopefully. He steadfastly ignores me for three miles, but then he crumbles, abruptly. ‘Fine,’ he says. ‘But only for two minutes, and we’re not going in.’ I have a wild moment, imagining leaping from the car and shinning the wall with the daughters and the dogs. ‘Nowhere’s a Blenheim,’ shout the children. We drive past yolk-yellow gorse, puffy fluffs of pale green goat willow. Then woodland; silver birch, larch, pine, ash. We see signs for an arboretum, but then we swing into Castle Howard’s car park, come to a stop beside its cricket pitch. Everyone explodes from the thick air in the car and we run about, whooping, playing tig and shouting instructions at the dogs and abuse at each other. Then we put the dogs and Stephen back and head towards the signs that say Farm Shop. We walk into what was once the courtyard for the stables, and it’s the nicest place. We visit the bookshop, the gift shop and the loo, and we buy three Castle Howard Pencils. The lady behind the till is endlessly patient as the children and I squabble over colours. 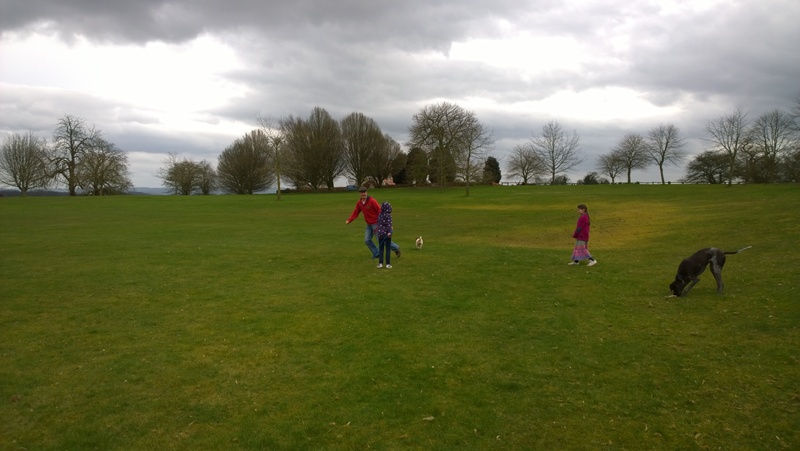 We finally settle (one yellow, one green and Jess buys a rubber), and whiz to the farm shop. It’s groaning with delicious things, and I hugely regret my grand statement that this holiday, I shall not be shackled to a handbag. ‘I only grabbed a couple of pounds,’ I say. The children look appalled. They’d spotted tremendous cake. ‘We’ll just ask Daddy to get out of the car-‘ says Ellie. I shake my head, not holding out much hope. The children run ahead, and I arrive back at the car just as he says it: Where’s Your Bloody Mother? and Let’s Just Get There. I wave my hands at the daughters’ chorus of disappointment. ‘Fine,’ I say. ‘It’s fine. Be calmed. Calm.’ I look at Stephen, who’s reversing before we’ve all got our seatbelts on. He accelerates and I look back at Castle Howard, its intricate roof-line indistinct behind the winter trees. 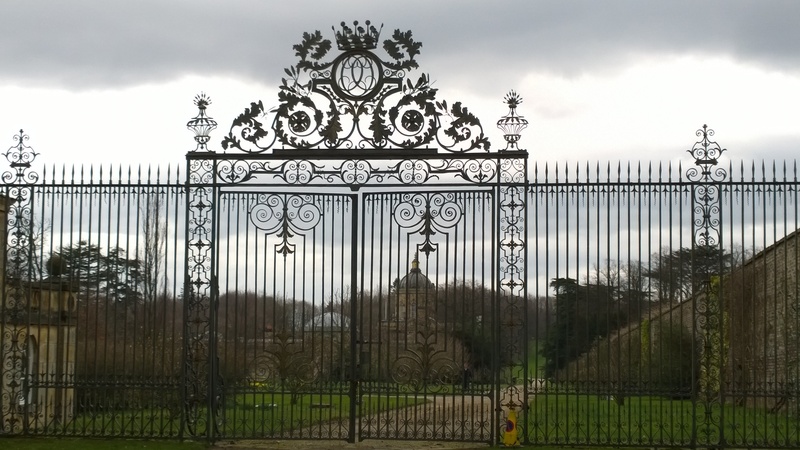 The gates of Castle Howard. The nearest I got – this time. I turn round in my seat, looking North to Cropton Forest. If this is a taste of Yorkshire, we think we’re going to like it here. This is the first of a set of posts, written about our family holiday in North Yorkshire, as guests of Forest Holidays (part of the Forestry Commission for England). All opinions and views are my own.